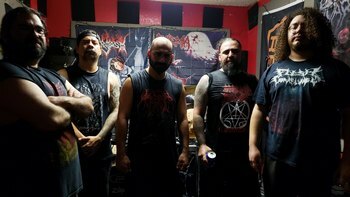 The Texas-based death metal band was formed in San Antonio (where Rainbow recorded its Live Between The Eyes video) in 2011. A 2012 demo was called Infatuation With Menstruation. On May 11th Flesh Hoarder issued its first full-length album Homicidal Necrophile through Comatose Music.